Well today brings a sense of victory. 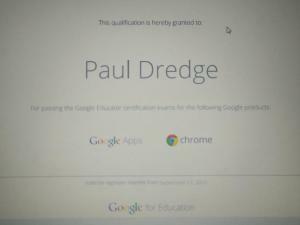 Since the beginning of September I have been working towards becoming a Google Educator Certified Trainer. 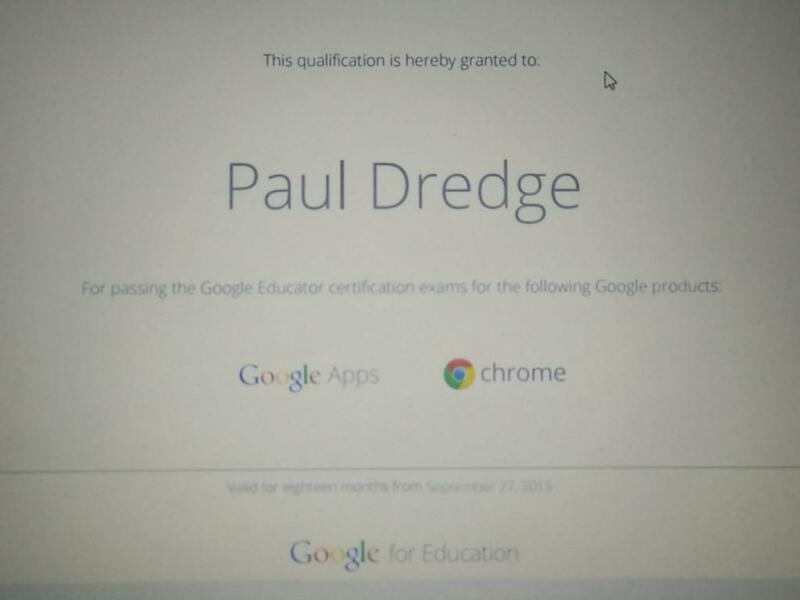 For me to be able to become one I would have to take 4 core Google Apps exams and one nominated exam. Today marks the day where I have finally finished my 5 exams with a PASS grade. The next step for me now is to apply to Google to become a Certified Trainer but this can’t be done until the 7th October so until then I will be celebrating passing these 5 exams.